The PSC Soccer Complex is located on College Community School District grounds on the southwest side of Cedar Rapids near Kirkwood Community College. The complex consists of 8 full-size natural grass fields and 1 full-size artifical surface (FieldTurf) lighted field. The specific field locations are at three different areas within the campus as described below. 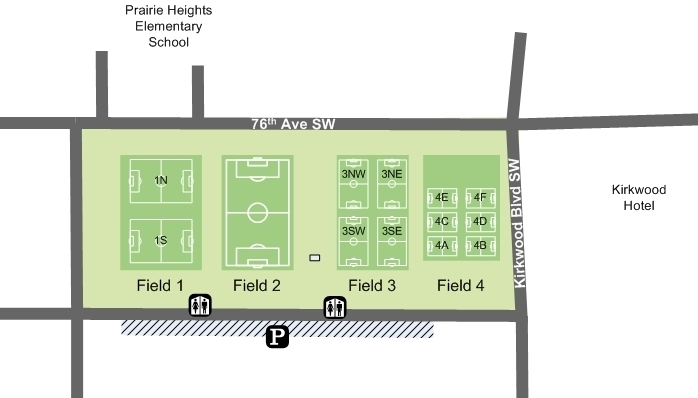 Our primary grass field location includes Fields 1-4 located on the corner of 76th Ave SW and Kirkwood Blvd SW. The fields are numbered from west to east 1-4. No pets or use of tobacco products are allowed. 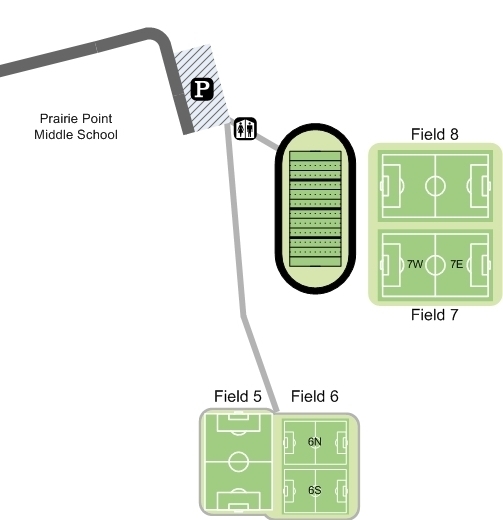 Fields 5 through 8 are located behind Prairie Point Middle School (8015 Kirkwood Blvd SW) on the east of the College Community Campus and south of Kirkwood Community College. Parking is available in the Prairie Point parking lot. 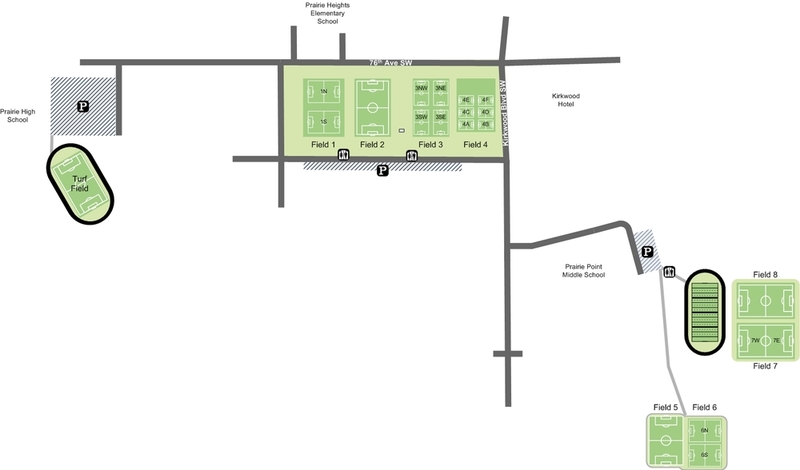 Access to Fields 5 and 6 are via a walking path from the parking lot. Fields 7 and 8 are located behind the middle school track/football field. No pets or use of tobacco products are allowed. The artificial surface (FieldTurf) field is located inside the Prairie High School stadium. No food, drink (except water), gum, or sun flower seeds are allowed on the turf. No pets or use of tobacco products are allowed within the stadium.